Can’t decide if you would like to stay oceanfront for your next vacation or enjoy the tranquility of a canal front property? Enjoy the best of both worlds in Forbis. 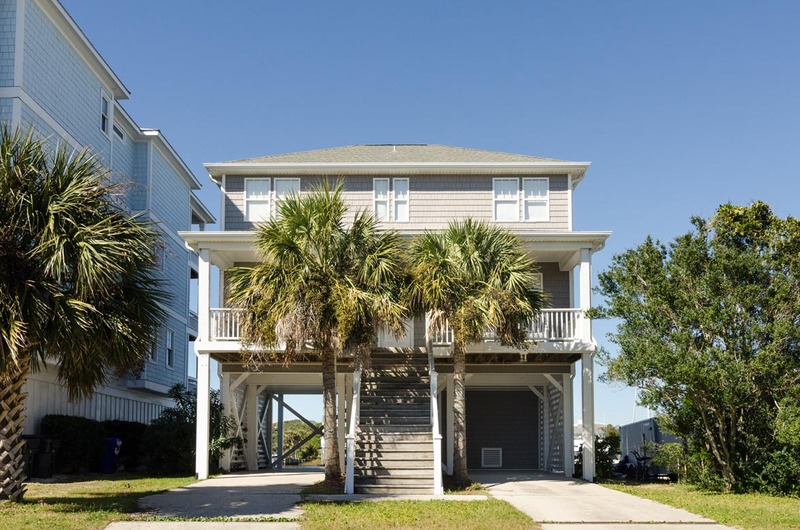 This four-bedroom, three-bath home on the canal is less than a block from the ocean and just seven blocks north of the Carolina Beach Boardwalk. 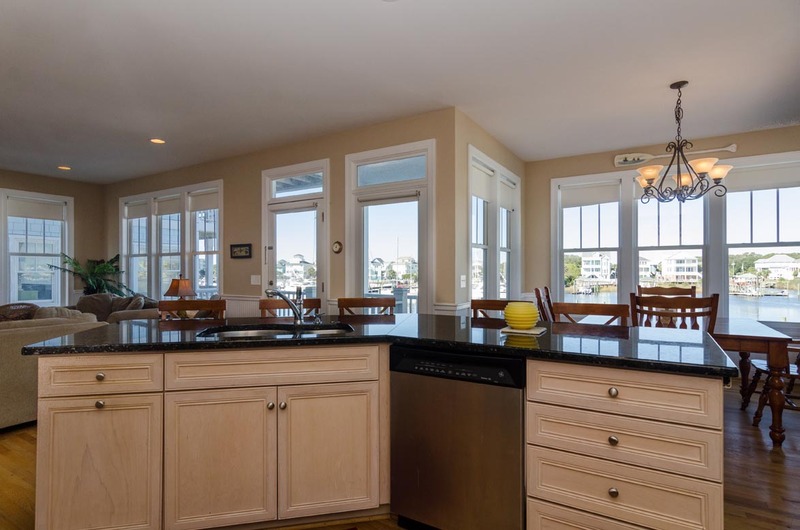 The main level of the house features an open kitchen/dining area and living room with a panoramic view of the sound and marina. The downstairs living area also includes one full bath. 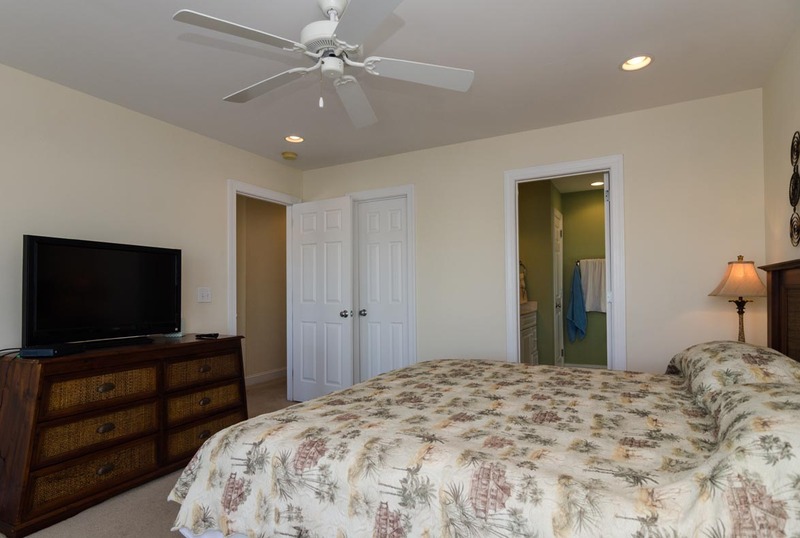 The upper level is where you will find all four bedrooms. 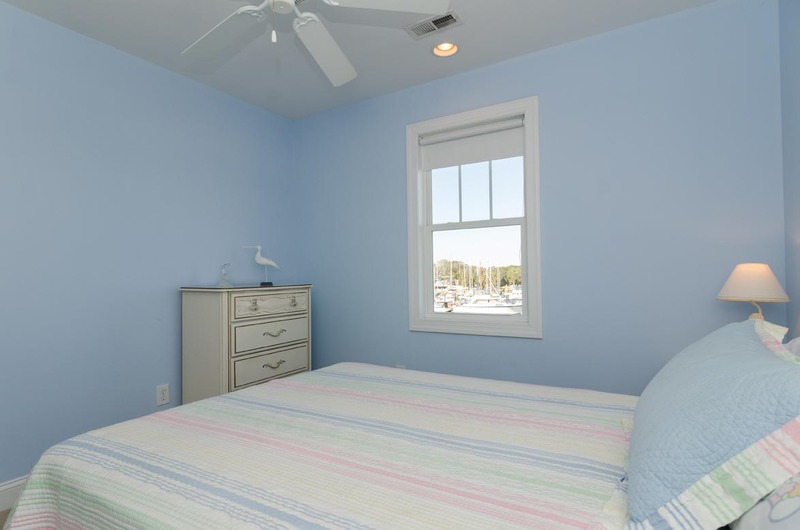 Three bedrooms are canal front and one provides an ocean view. The master suite includes a balcony and private bath. 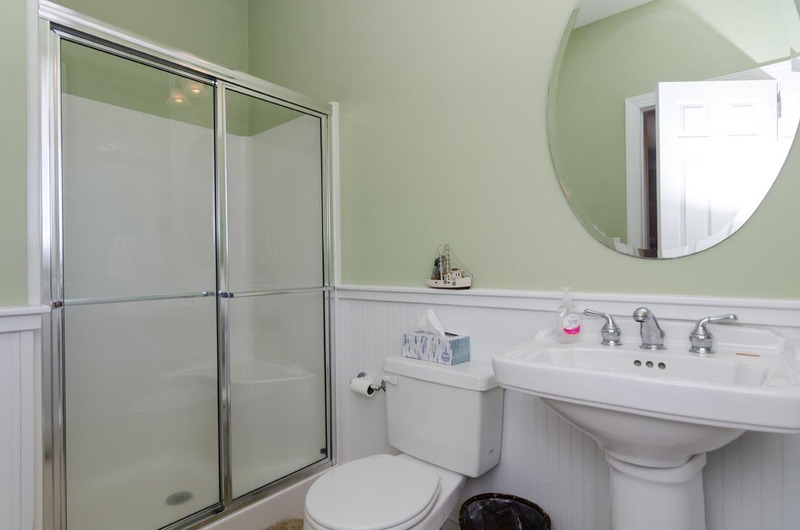 The upper level also includes an additional bath. There is a pier with floating dock and two boat slips for your use, so don’t forget to bring the boat! While in the area, be sure to check out the Carolina Beach Boardwalk, where you are walking distance to shops, restaurants and the summer activities such as fireworks, carnival rides and live music. Watch the fishermen come in with the catch of the day at the marina or dine out with the family. Make plans today to stay in beautiful Carolina Beach. Our family gets together each summer at Carolina beach to enjoy our family vacation. We have a new grandchild and she enjoyed the Beach which is very accessible.The location is close enough to town that sometimes we walked down there to the boardwalk. The view at the house is what all of us enjoy the most. Great place at the beach. Easy access to beach and Sound of Carolina Beach. 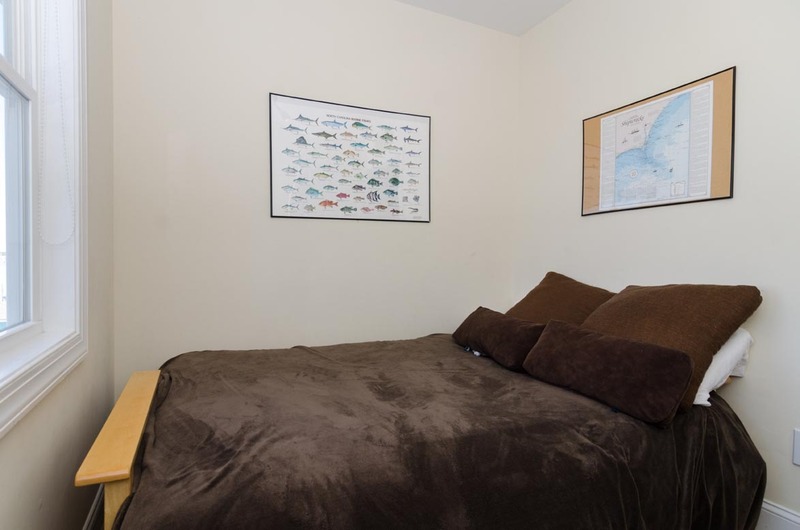 Tastefully decorated and very comfortable place to vacation. All went very well. Very happy with location and home. This was our 4th year in this particular rental property and we have reserved it for the same week next year. 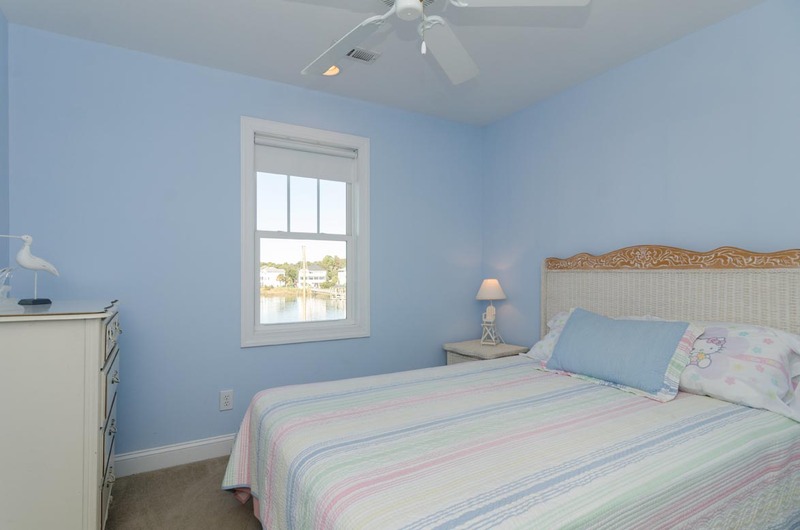 It is so comfortable and very convenient to Beach access and Boardwalk . We always have a wonderful time together as a family in this house . Excellent! Everything was great for us from check in to check out and everything in between! We love the Carolina Beach area. Have been coming for years. 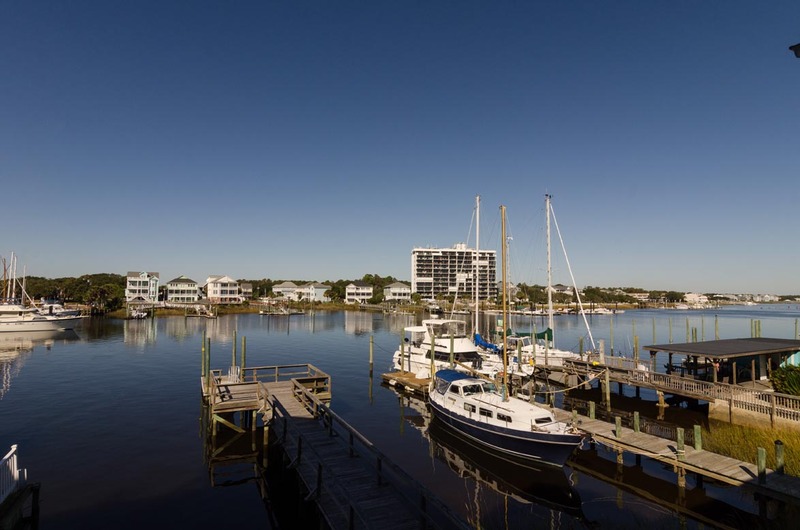 We love the close location to Wilmington. The food was great everywhere we ate. The overall people in North Carolina are very polite and helpful. We really liked the house. It was overall clean and very roomy but a few draw backs... I thought that it slept 10 adults rather tight. Should really list it to sleep 8. I feel the carpet is on its last leg and needs replaced. The kitchen floor between the island and the sink needs to be scrub cleaned, not just mopped. The high traffic areas were very dirty. The house to the south is split between ownership and rental. Both folks were great. The empty lot and house to the North was odd. The man lives in a boat in the empty lot next to us and then the next lot seemed to be owned, not rented. These folks were not to friendly. The house had a great view and very close to the beach. The beach area was great. I would recommend this property to a friend but limit it to 8 people. Jeff- Thank you for the feedback as we will follow up with the property owners regarding your recommendations. Hope to see you at the beach again soon! Very comfortable home . Our second year there . 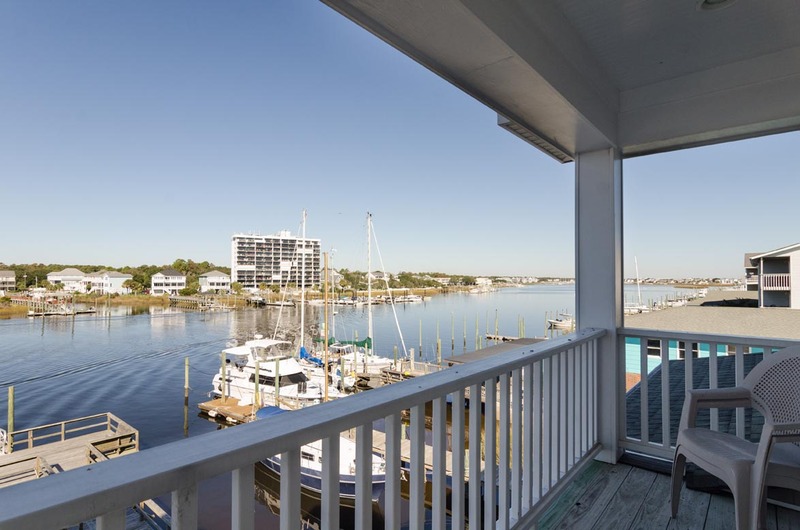 Great access to Boardwalk, shopping & restaurants ! Have reserved again for next summer . We loved the location and the house! In the mornings we watched a sea turtle swim. House was plenty big for 2 families including 6 teen girls. Short drive to freeman park and just across the street from a public beach access. We will be coming back! A+, would recommend this property to anyone! Beautiful house with an amazing view. We were close to the beach and downtown Carolina beach.we really liked the floor plan of the house, it worked great for our group. House was in a great location and clean. For the most part the house worked great for our group. Just a few things that could be improved. Dock needs a light and I do not feel that this house is truly a 4 bedroom. The forth bedroom has not closet and no dresser. I feel like this needs to be added to the description because it could be a problem depending on what type of group you are traveling with. Also could use new carpet. Overall we enjoyed our vacation and would recommend this house. Bryant Realty was also very friendly and easy to work with. Our family (8 adults, 2 children) had a wonderful July 4th week at Forbis. 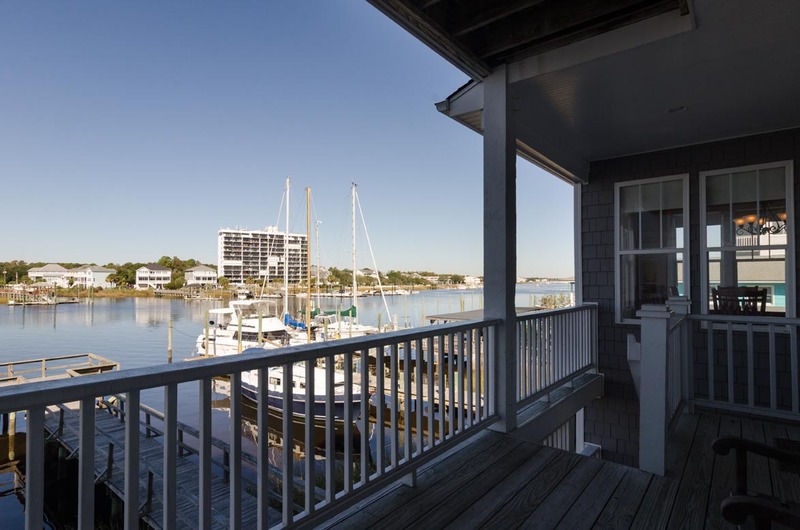 We enjoyed being just a short walk to the beach and also having a private dock / boat slip. We were also pleasantly surprised by the well-furnished kitchen, which made cooking for our crowd easy. This was our family's first stay at this property . We loved it ! The canal views were beautiful . House was extremely comfortable. Also liked the location at Carolina Beach . Short walk to beach . Only 2 suggestions : kitchen needs a paper towel holder , toaster, and dish towels. Bryant Realty very easy to work with also. Wanda- We are glad to hear you enjoyed your stay! Hope to see you at the beach again soon!